HONG KONG (Reuters) - The United States warned in a report on Friday that increased meddling from China in Hong Kong had adversely impacted the city, straining international business confidence in the Asian financial hub. 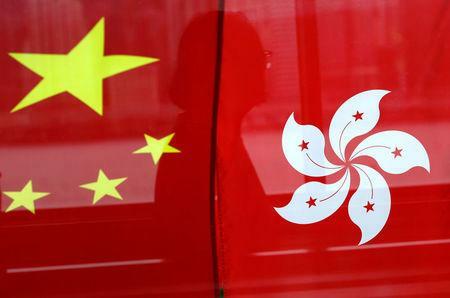 In Beijing, Chinese Foreign Ministry spokesman Geng Shuang said Hong Kong matters were an internal affair for China and foreign governments had no right to interfere. "The report issued by the U.S. government ignores the facts and makes thoughtless remarks about Hong Kong's affairs," Geng said. "China is strongly dissatisfied with this and strongly opposed to it." In 2018, the United States' largest worldwide bilateral trade-in-goods surplus was with Hong Kong, at $25.9 billion, the report said. The U.S. Consul General in Hong Kong Kurt Tong in February expressed concerns about Hong Kong's autonomy, noting erosions to the "one-country, two systems" formula.